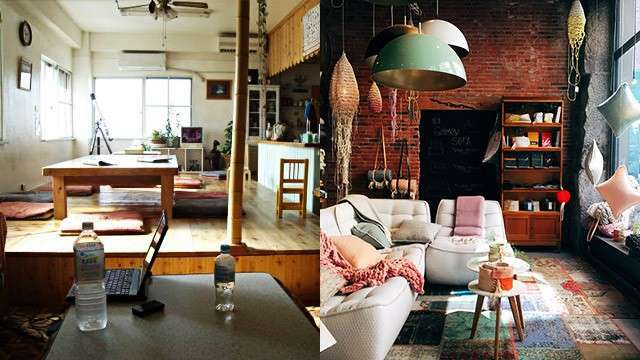 AirBNB VS. Hostels: Which Is A Better Option For Your Travels? With budget travel on the rise, more and more options for logistics are now easily within reach, making it even more possible to make your trip as fun and convenient as possible. One of the more important elements that you should pay attention to when booking a trip, whether local or international, is the accommodation. Before, it used to be a challenge alloting a budget for your hotel stays, nowadays you have cost-friendly options in the form of AirBNB or hostels. Any traveller will certainly have something to say about their experiences staying in these kinds of accommodations, but the important thing is that you find the one best suited for you. Let’s weigh the pros and cons of each. The concept of AirBNB is pretty straightforward. Homeowners who are willing to open up their homes to travellers sign up with the company so that they can be listed on the app. Interested travellers can book their preferred accommodation on their dates set, and payment will be facilitated online. The fact that all of these happen over the internet make it a highly convenient experience for both the host and guest. Correspondence between the parties involved are also made easy with an internal messaging system, so that they can quickly thresh out the finer points of the guests’ requirements and the host’s rules, should there be any need to do so. Hosting is a pretty lucrative gig that’s why hundreds and thousands of homeowners all over the globe sign up to be one. For the guest looking for an option, this is great news. When looking at choices, though, make sure to take into serious consideration certain important factors such as location, type of accommodation being offered (entire place, shared room, or private room), price per night, and whatever other special needs you may require, such as WiFi access, smoking area, or pets (or the lack thereof). Some hosts do not show up to the place you’ll be staying in, and instead simply leave the key in the mailbox, where you’re expected to return it in as well when you leave. If you’re staying with the host, however, you can expect them to help you find the coolest, cheapest, tourist-friendly places to make the most out of the time you have in their city. There are even some who regularly cook breakfast for their guests as part of their hosting duties. It’s also not unusual for guests and hosts to become friends. After all, they mean for you to have a great time, so that’s what they will set out to do. Most people base their decisions on the pictures they see—and it's best to be wary of relying solely on the ones uploaded on the site. Do your research by checking social media as well. Time is also a great factor, especially when the hosts will be staying in the apartment while you are there. Some buildings, for example, have curfews, making it difficult to explore. In certain instances, you’ll need to check out but still have some place to go before finally leaving for the airport. Some hosts, however, will let you leave your things at their place in the meantime for safekeeping. There are those, however, that are so strict about checkout that you’ll just have to find another way store your luggage. Just like AirBNB, you can also do your reservations online. Hostelworld is a great app that you can use if you’re looking for hostels, as well as Booking.com. It’s convenient because with Hostelworld, for example, you don’t have to pay immediately for the entire amount. Usually, they’ll only require a 10% deposit, which will be charged to either your credit or debit card. The rest of the balance will then have to be paid upon check-in at the hostel. Booking.com, meanwhile, allows you to make a reservation for your whole stay without shelling out anything at all. You can opt to pay at a much later date as well, with the option to cancel this reservation later on. There’s only a limited window for the free cancellation, though. Otherwise, you’ll most likely be charged for one full day out of the entire number of days you originally reserved. The common misconception about hostels is that they’re all for backpackers and that the only rooms they have to offer are dormitories or shared rooms. That cannot be farther from the truth, because actually, they do have options for private rooms. In fact, depending on the hostel that you end up staying at, some of them may even end up looking like standard hotel rooms, too. So if you want the privacy—and your own bathroom—you can definitely opt for that. Just be prepared to shell out a lot more compared to if you were to stay in a dorm room. Another good thing about hostels is that they have reception open 24/7, which means that it’s not an issue if you get a red-eye flight. Someone can assist you for check-in. Same goes for checking out—you can leave your stuff with them in the meantime even after you’ve checked out so you can make the most out of the time you have left for last-minute shopping or exploration. The crowd is also another huge plus, adding another layer to your travel experience. Hostels usually stage a lot of socialization activities, such as pub crawls, karaoke nights, or even free tours, which are perfect avenues for you to mingle and befriend your fellow travellers. While all the partying is fun, sometimes it does get to a point that it can dampen your hostel experience. If the walls are not properly soundproofed, finding good sleep can be difficult with all the ruckus going on at the bar downstairs. Rowdy travellers can be disruptive to your rest, especially if they happen to be staying in the same dorm room as you as well. You can ask the staff to move you to another room, but there’s no guarantee that it’s going to be better for you in terms of noise management. At the end of the day, deciding on whether to get an AirBNB booking or a hostel reservation will depend on your needs, preferences, and budget. The safest way is to do extensive research in advance. Read the reviews from qualified websites, and also check out what other travellers have to say about their own experiences with that particular host or hostel.